The globe-shaped Early Girl is an early season tomato, usually around the size of a tennis ball at full maturity. 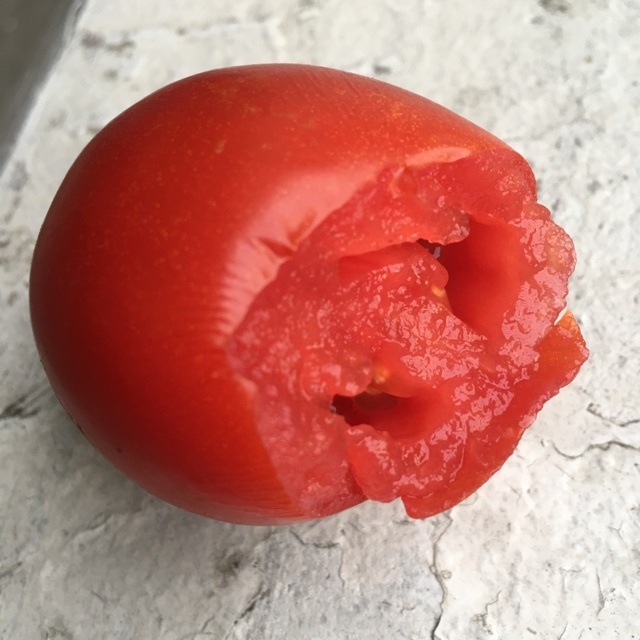 Bright red, smooth-skinned and slightly flattened in shape, the Early Girl tomato is meaty and can be quite sweet and concentrated in flavor. Early Girl Tomatoes are available during the summer and into the fall. Early Girl tomatoes are popular for the flavor they impart and their early season appearance. 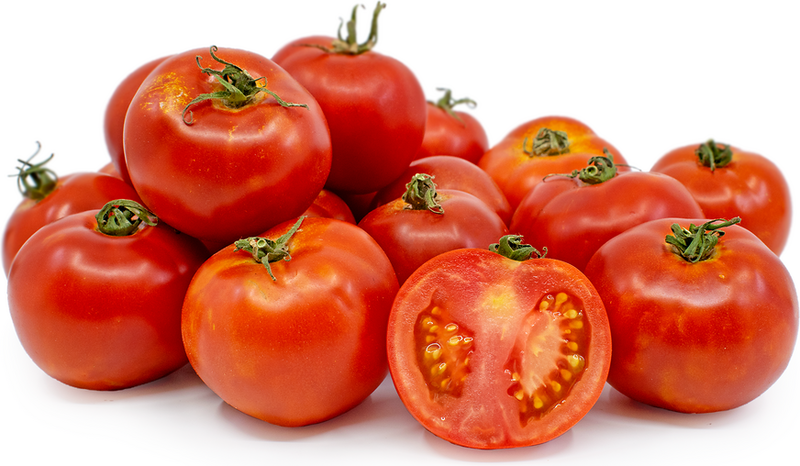 These bright red tomatoes are often dry-farmed, meaning the plant is cut off after early irrigation and the roots are left to stress and struggle to reach water and the result is what some call the ideal tomato. Early Girl tomatoes are considered ‘slicing’ tomatoes, and make great additions to sandwiches, bagels and quartered on salads. The sweet flavor makes for a wonderful soup or sauce, though preparations that require minimal cooking are more ideal for highlighting the early-season tomato’s flavor. Leave tomatoes at room temperature; refrigerating can alter the flavor and creates a mealy texture. Early Girl tomatoes are a hybrid tomato variety famous for their rapid maturation. Within two months of transplanting, the plants start yielding red, juicy tomatoes. The Early Girl has been a perennial favorite among gardeners since the 1970s, when horticulturalist Joe Howland discovered a flavorful, early-season tomato developed in France. Together with W. Atlee Burpee Company and PetoSeed, Howland secured the rights to sell the seed in the US. Howland nicknamed the tomato “Early Girl” to complement Burpee’s successful “Better Boy” variety. Some modifications were made by American breeders and the result is the tomato voted Sunset Magazine’s readers’ favorite in 1993 and 1997. Recipes that include Early Girl Tomatoes. One is easiest, three is harder. Someone shared Early Girl Tomatoes using the Specialty Produce app for iPhone and Android.